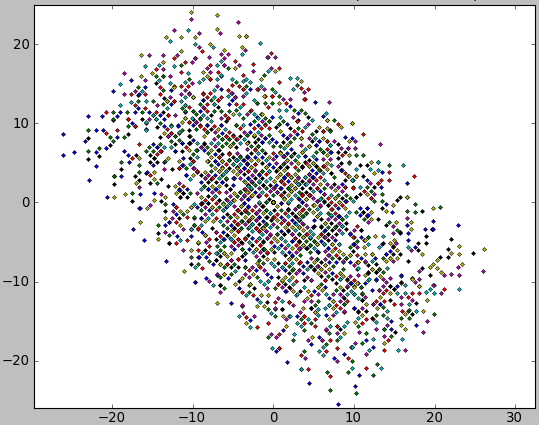 The following plots were made as part of the calibration. 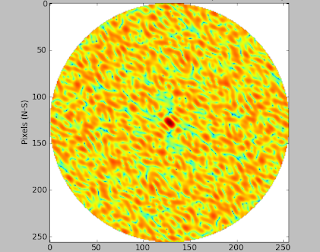 These show the scatter of the instantaneous uv-coverage of the HBA, when selecting a pseudo-random cell pattern. In order to get good all-sky performance and to suppress and grating lobes, different cells in each tile are chosen. 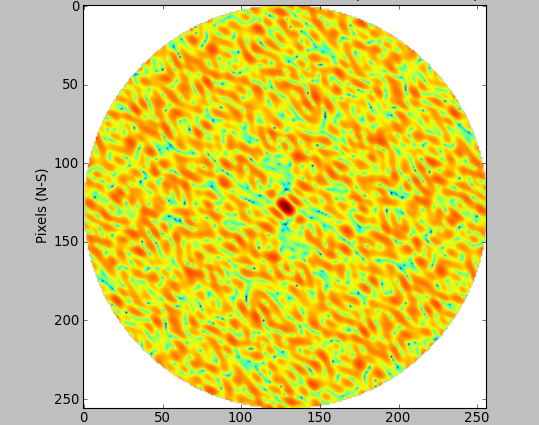 The result is the instantaneous uv-coverage as seen from zenith. From this we can derive a point-spread function. This is the response of the phased array to an isolated point source. 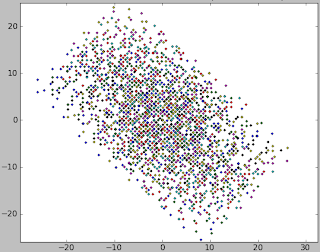 These plots were made with various packages and calibration files. The final displays were made with a modified version of the dftAcc.py programme by Griffin Foster (U. Oxford).